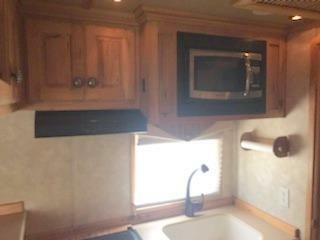 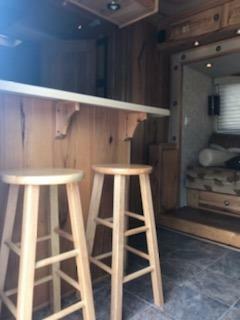 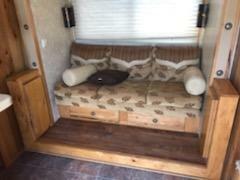 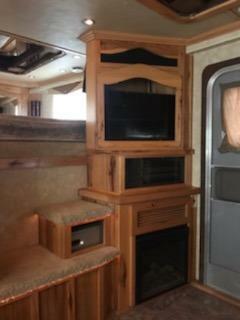 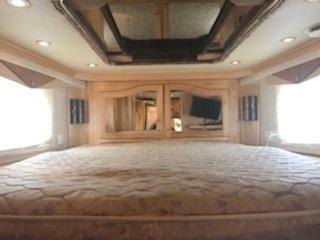 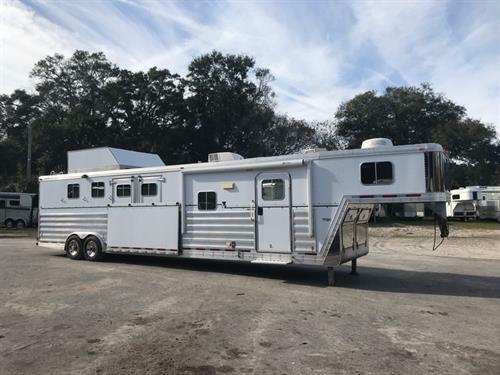 2007 Featherlite Medalist (4) horse reverse load living quarter with a SLIDE OUT, couch, air ducted A/C unit, furnace, breakfast bar with (2) bar stools, cooktop burner, microwave, sink, brand new 6cu fridge & freezer, cabinets, large closet space and a large bathroom. 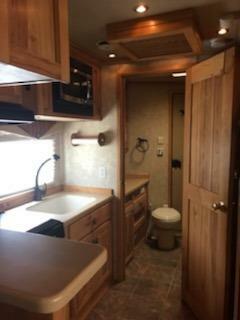 In the bathroom you have a toilet, radius shower, sink with a medicine cabinet, linen closet and a walk thru door into the horse compartment. 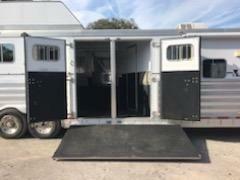 In the horse area you have an interior height at 7’6” tall x 8’ wide, INSULATED ROOF, roof vents, electric fans, escape door, drop down windows at the horses heads with drop down aluminum bars, feed mangers with outside storage, curbside loading with double back doors and a rear ramp, full rear tack room with bridle hooks, electric saddle rack, all carpet lined, brush boxes and double back rear doors. 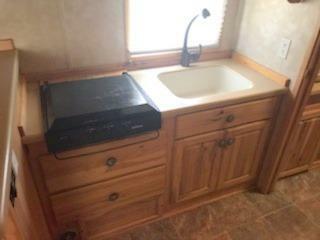 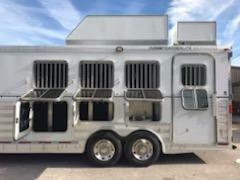 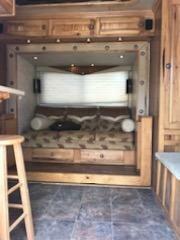 The exterior has an Enclosed Hay Pod, Onan Generator, Cat Walk, Ladder, Enclosed Front End and an Electric Awning! 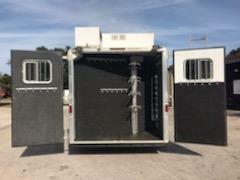 Super Clean and Ready to Use!